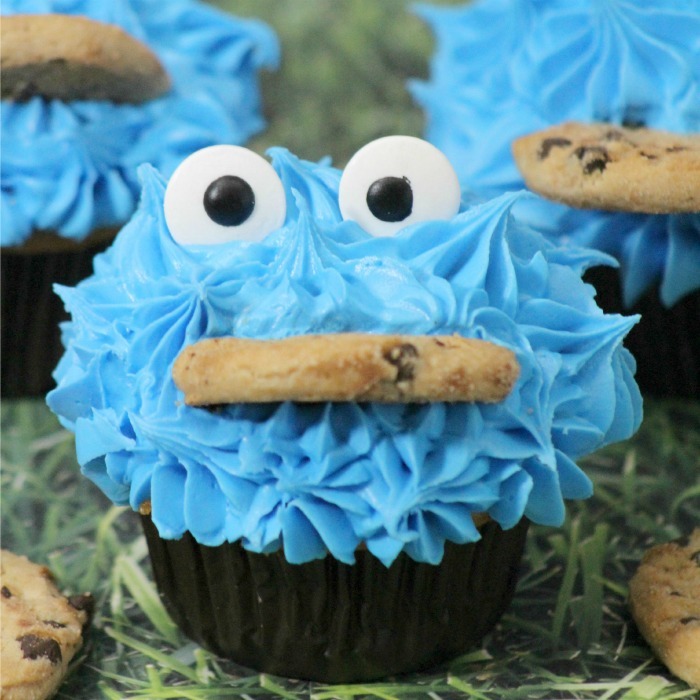 From a Sesame Street birthday party to a Cookie Monster gathering, these cookie monster cupcakes made from scratch will make your little cookie lover ecstatic. Ever since I was a little girl, I’ve loved Cookie Monster. He’s fuzzy. He’s blue. And he loves cookies. What is there not to like? 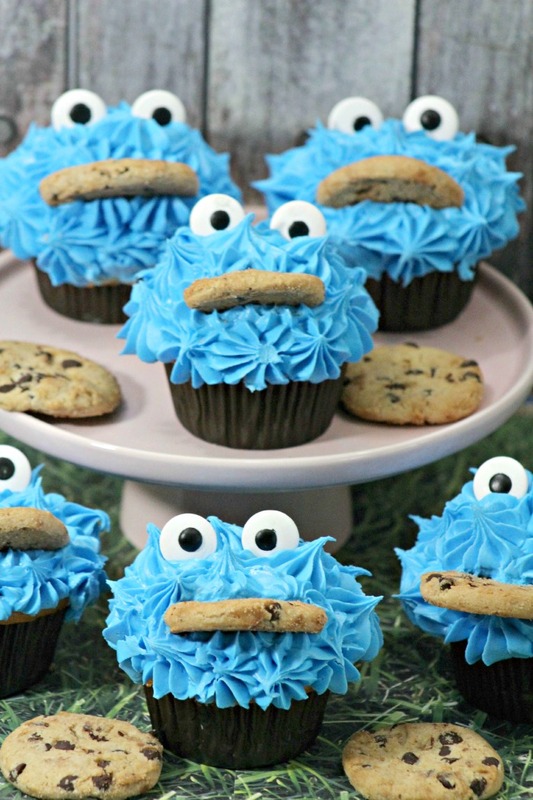 Now if I had ever had a Cookie Monster birthday party, these would have been the absolutely perfect cupcakes to have!!! This post contains affiliate links. Take out of the cupcake pan placing on a wire rack until completely cooled. Test to see if the frosting can form and hold a stiff peak by taking a spoonful of frosting and turning the spoon upside down. If the frosting stays on the spoon it is ready if not then…. Holding the bag straight up and down frost the cupcake straight up and down. Cut the chocolate chip cookie in half. stick the cookie in the middle of the frosted cupcake pointing up. 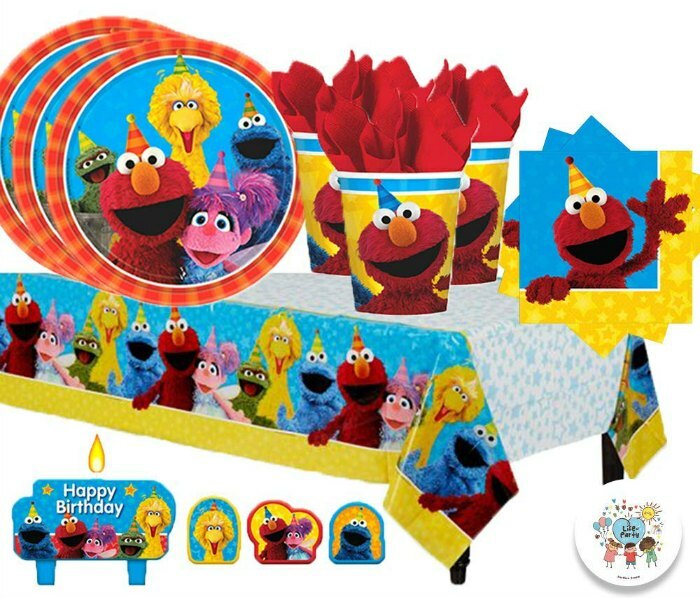 And to make your Cookie Monster party complete, consider these affiliate links I’m absolutely in love with! Scoop batter into cupcake lined cups until ¾s filled. Those cupcakes are too cute!! Now I wish my son loved cookie monster so I would have an excuse to make them!! How cute!!! and so simple! Thanks for sharing on the What’s for Dinner link up and don’t forget to leave a comment at the party – Next weeks features that also leave a comment get pinned and tweeted! These cupcakes are just adorable. I wish I had grand kids that were that young again. These are so cute. My 3 yr old would love them. Thanks for sharing with us at Family Joy Blog Link Up Party this week. Hope to see you next week! I never get tired of seeing Cookie Monster cupcakes! They are just so gosh darn cute! Happy Foodie FriDIY! These are so adorable! I love Cookie Monster. Pinned. CUTE!!! Love cookie monster! & Cake! These are so cute. I loved the Cookie Monster when I was growing up. I still think he’s adorable as an adult. 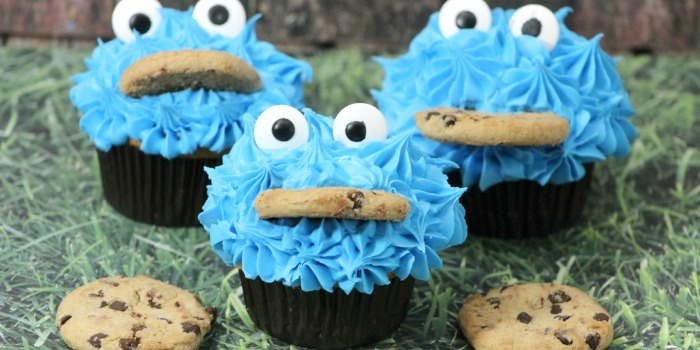 These cupcakes are perfect to use with a fellow Cookie Monster. I love these! So cute! Thank you for sharing these on Tasty Tuesday’s. Such a cute cupcake. Pinned & shared. Thanks for joining the Inspiration Spotlight party.